Hodgmaniacs, the annual MAX FUN DRIVE is happening right now. It's your donations that make the show possible, so if you love this show, please take a moment to support it. There's a support level to fit any budget, and any and all donations are hugely appreciated. Thank you. Ara and her mom Julia enjoy spending quality mother-daughter bonding time together while canning all sorts of foods, from apple sauce to jams and chutneys. Ara has brought the case against her mother that their health protocols are not up to snuff, insisting they should follow USDA safety manuals, books, and internet advice to make sure their canned goods are 100% safe. Julia says Ara's detailed demands are driving her nuts, and they should continue to rely on the tried-and-true methods that have always done them well. This culinary clash falls outside the realm of Judge John Hodgman's area of expertise, and the good judge defers to the encyclopedic knowledge of Food Network personality Alton Brown! You probably know Alton from his show Good Eats, and he also serves as the host of Iron Chef America. Will Ara's meticulous methods rule the day, or does mother truly know best? In this food fight pitting mother against daughter, only Judge John Hodgman can settle the score! Julia's photographic proof that practice and experience best books and internet instructions. 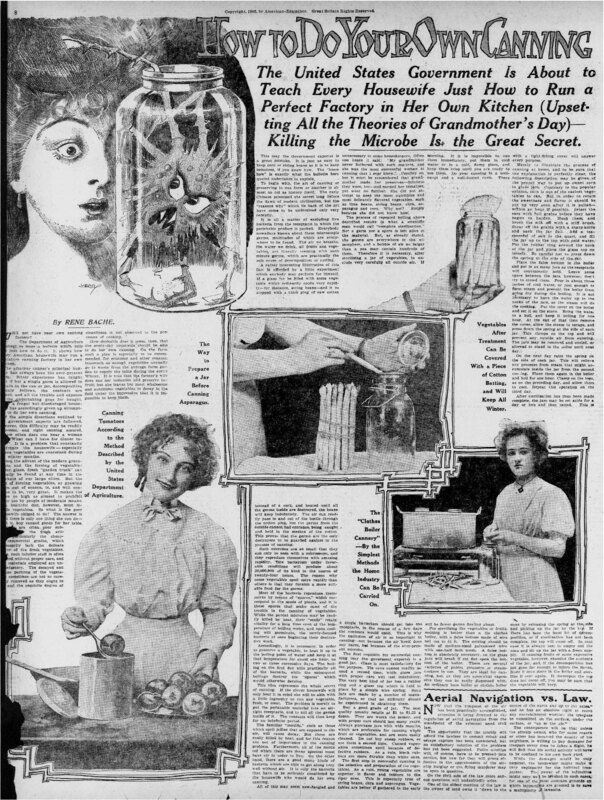 Killing the Microbe is the Great Secret! It's worth checking out for the wonderfully creepy microbe illustration!